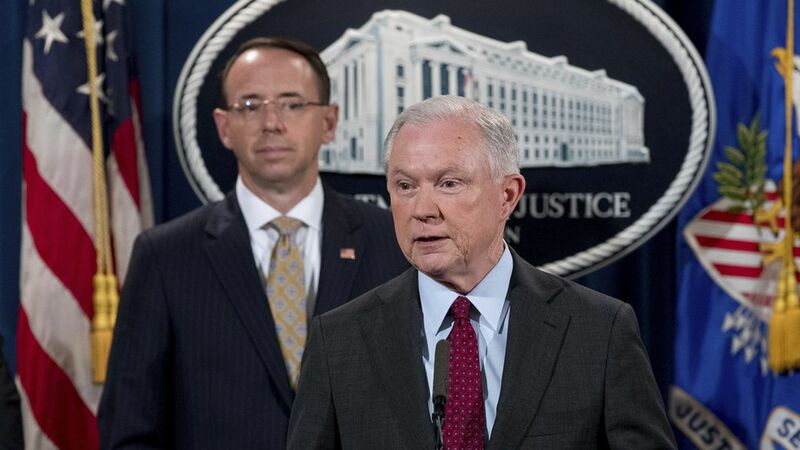 Attorney General Jeff Sessions said Thursday that he plans to continue as Attorney General, despite President Trump's comments to the N.Y. Times that he would have picked someone else for the position if he had known Sessions would recuse himself from the Russian investigation. "We love this job. We love this department, and I plan to continue to do so as long as that is appropriate," Sessions said Thursday. Read more on why Trump lacks leverage on Sessions.